Sergeant Victor Lawrence Ross (born 1887) was a regular soldier in The Duke of Cornwall’s Light Infantry during the First World War. 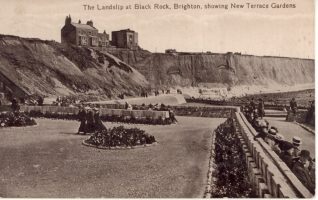 He sustained terrible injuries during the Battle of the Somme and was sent back to England to recover in the Pavilion Military Hospital in Brighton. 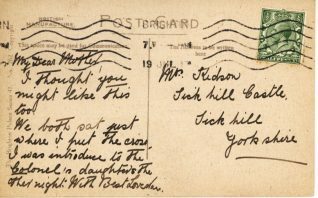 Victor married Annie Ross (born 1898) in St Peters Church, Brighton on 6th July 1917. 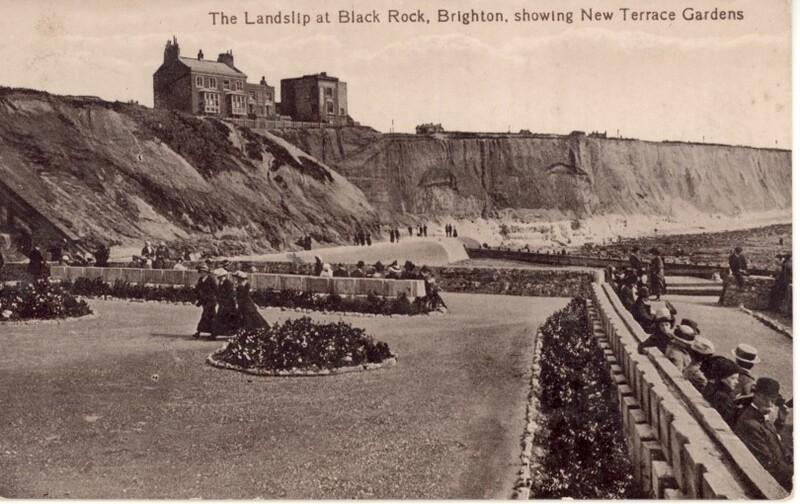 While Victor was convalescing at the Pavilion hospital, Annie sent postcards, including this one showing the landslip at Black Rock, to her mother in Yorkshire and these have been shared with the Letter in the Attic project by Pauline Raymond. 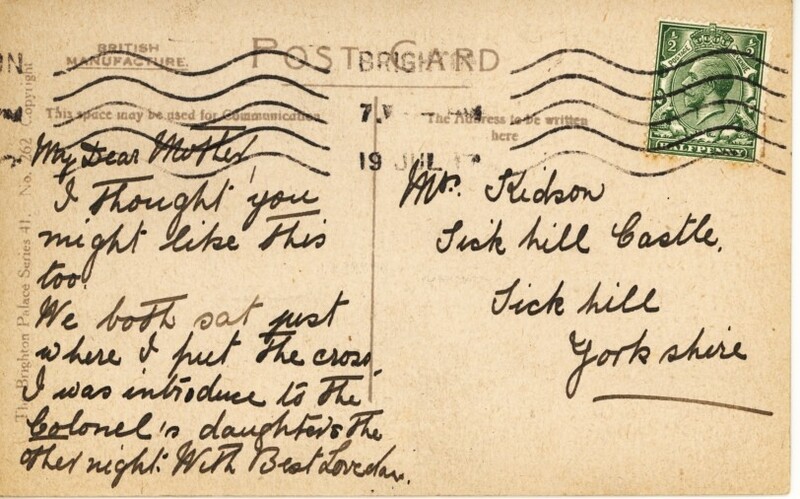 View this entry on the Letter in the Attic online catalogue.